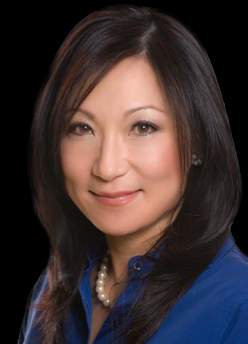 San Diego cosmetic dentist Dr. Susie C. Kwok now uses Botox® therapeutically in the treatment of Temporal Mandibular Joint Disease (TMJD), TMJD headaches, and bruxism. Botox, a purified protein, is placed locally in therapeutic dental medicinal doses to enable controlled muscle relaxation to treat any problem where inappropriate muscle contraction is the problem and to relieve the pain caused by TMJ disease. Administration of this protein is a simple and non-surgical procedure whereby very low doses of a natural purified protein are placed into specific muscles which selectively interferes with the muscles ability to contract by relaxing the muscles . The actual mechanism of action is by blocking or reducing the release of a neurotransmitter called acetylcholine which is required for the muscle to contract. Without acetylcholine, the muscle will not contract and, if the muscle does not contract, then it will be unable to pull, stretch and cause pain. When the brain signals the muscle to contract the message is never received and the muscle remains relaxed. This temporarily blocks the nerves from communicating with the muscle, resulting in relaxation and a decrease in pain. It usually takes two to four days to see improvements and the effects tend to last from four to six months. Most patients require retreatment as the muscle returns to function, but is less severe as the muscles are trained to weaken. In addition, stress management and night guard splint therapy are used to reduce the effects of TMJ disease and pain. Botox procedures do not require anesthesia and usually take just a few minutes to perform. The protein is deposited into the muscle using a fine needle in order to minimize discomfort and maximize accuracy. It is recommended that patients avoid alcohol for about a week before the procedure. In order to minimize bruising, patients should stop using aspirin and anti-inflammatory medications about two weeks before treatment. For more information please contact our office (619) 295-7885 or request an appointment today!